I wouldn’t have made it through my epilepsy journey, if it hadn’t been for all the love and support I received from my amazing family and friends. It was because of my wonderful purple support system that I was strong enough to make it out of those toughest storms. I owe them plenty. They are all and will always be the greatest epilepsy soldiers and heroes I know! Yet, there is a BIG thank you deserved to a man who is responsible for the “C” shaped scar on my head. Dr. Bruce Mickey is a man with the bravery of Bruce Wayne, in order to put up with the likes of me as a patient. He is a great doctor who wears the kindest smile, just like the happiest mouse in the world. He is #MyEpilepsyHero. Dr. Mickey is a wonderful neurosurgeon who not only left me with a cool haircut, but left me seizure free! Thank you for my seizure freedom, and thank you for your continued care! And as promised, here is my MyEpilepsyHero shout out. Looking at this just makes me smile! I had been running like a predator after a prey for far too long. More sunsets had taken place than I could count, and I could barely recognize myself. I didn’t know who I was. I didn’t know where I belonged. I just knew I was tired of going nowhere. It was time to break the shackles I had gotten myself into. I needed to get out of this abyss of angry solitude. This is the untold tale of epilepsy and how I survived it. For the longest time, you controlled me. You held on tightly and wouldn’t let me be. Six months ago today, I made a choice. And I now no longer hear your voice. Our friendly fights are over. There is now a sense of closure. I’m going to shout and fly high. 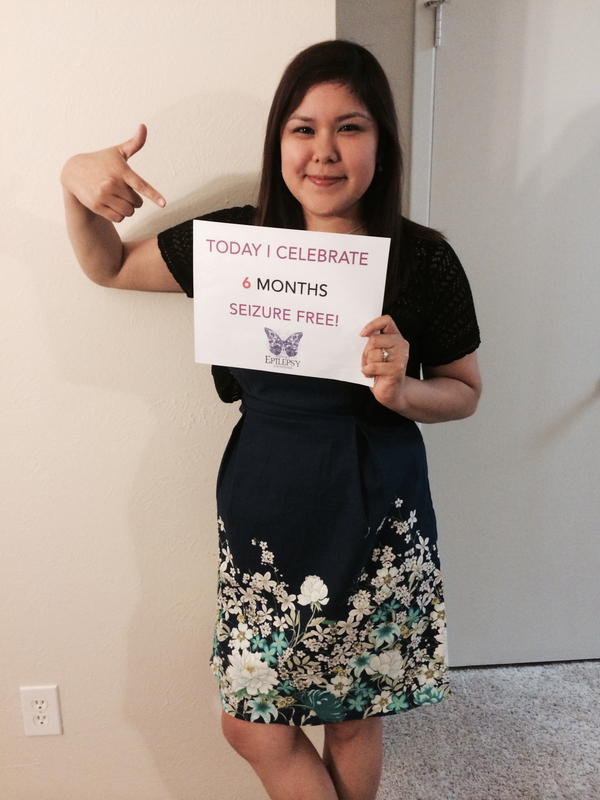 This is what it looks like to be six-months seizure free! My Monday reflection: I have a hole in my head, but it’s all right. It’s been filled with seizure free freedom that I’ve longed for and now have.